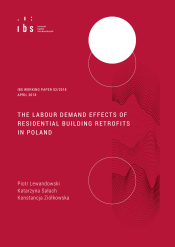 This paper analyses the potential direct impact of intensifying residential energy retrofitting on the Polish labour market. We distinguish eight building classes, for which we quantify the labour intensity of improvements to building insulation and heating systems. We account for work performed by low-, medium- and high-skilled workers. We define the baseline scenario of maintaining the current rate of retrofitting and three scenarios of its acceleration (up to two times) and increased comprehensiveness. We estimate the resulting additional labour demand and changes to the unemployment rate at the country and NUTS2 region level. Our results show that the most ambitious scenario of increased energy retrofitting would see the creation of approx. 100,000 additional jobs nationwide per year, with the majority of this added demand concerning low-skilled persons. This effect is predominantly caused by energy retrofits to single-family buildings. 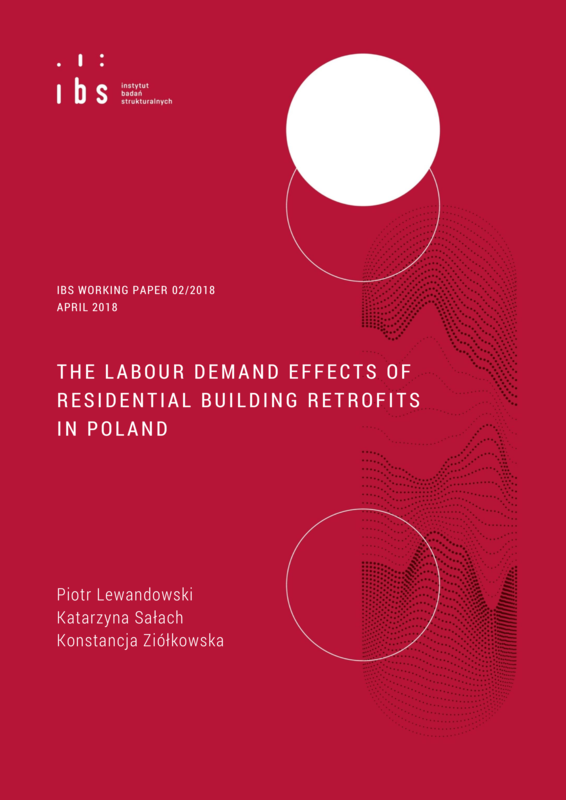 The effect of building insulation retrofits on the labour demand is 3-4 times greater than the effect of heating and hot water system upgrades. additional information: The authors would like to thank Szymon Górka for his help with the labour market simulation model, Adrian Chmielewski for his work on the Catalogues of Labour, Material and Equipment Unit Costs data, and Szymon Firląg for his helpful suggestions. This paper was written as a part of the project financed by the European Climate Foundation. All mistakes are our own. The usual disclaimers apply. Research based on Central Statistical Office (GUS) data. GUS is not liable for the data and conclusions contained in the publication.